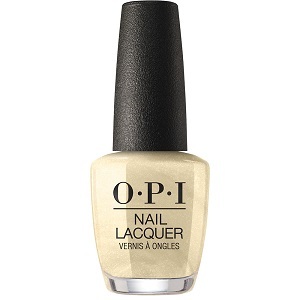 OPI Nail Polish, Gift of Gold Never Gets Old, HRJ12, .50 fl. oz. Metallic light yellow gold shimmer nail color. OPI Love OPI XOXO Collection, Holiday 2017.